The Parwanoo flying squad of the Excise and Taxation Department has detected tax evasion worth crores by an information technology based company in Baddi during a raid. 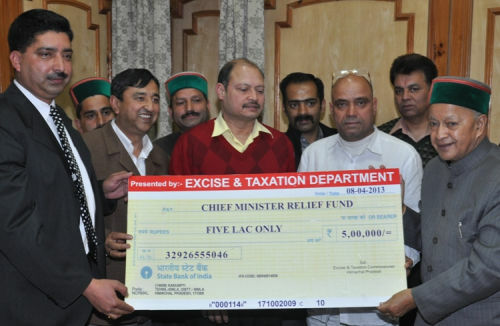 An Excise and Taxation official GD Thakur said it was detected during the raid that the anti-virus software developed by the company at a cost of Rs 40 was being sold for as high as Rs 600. The software was priced at between Rs 16 and Rs 34 in Baddi, but was being sent to Mumbai through stock transfer, where it was priced at between Rs 230 and Rs 600. Markets stocks of the software further revealed that it was even being sold at Rs 7,019, which put a question mark on the value of the software and suggested tax evasion. Data revealed that the company had made transfer of the software worth Rs 1.75 crore in 2010-11, Rs 133.16 crore in 2011-2012 and Rs 23.60 lakh in 2012-13 so far. It had not paid 5 per cent VAT and entry fee, which were mandatory. The company had paid Rs 2.19 crore to a local company to stock transfer goods worth Rs 133.16 crore in 2010-2011.